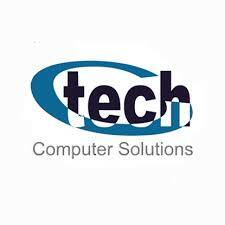 ComputerTech Solutions [CTS] is an IT Company providing Technology Solutions and Services in Networking, Structural Cabling, Data Centre Systems, IP Telephony & Call Centre Systems, IP Surveillance & Access Control Systems also Supply of Computers & Accessories to suit the business needs of our clients for more than 15 years in experiences. Maintain network stability by identifying trends, recommending and implementing corrective measures, and documenting action taken. Collaborate with network colleagues for problem resolution. Work within established configuration and change management polices to ensure awareness, approval and success of changes made to the network infrastructure. Handle any other tasks assigned by your immediate Supervisor. Skills: Good Communication Skills: Good Intellectual Abilities; Best Technical Minds; Open to learning, never quitting attitude and decision-making abilities, perseverant; enthusiastic, team worker, results-driven. Qualification: Diploma or Bachelor’s degree in Computer Science, or equivalent degree. Experience: Experience in all areas of local and wide area networks management and administration.